If you love fast-paced joyride reads, you may well set a speed-reading record with Smooth Operator (Putnam, 2016, $28 Hardcover), the new thriller from the author of thirty-nine Stone Barrington novels, Stuart Woods. 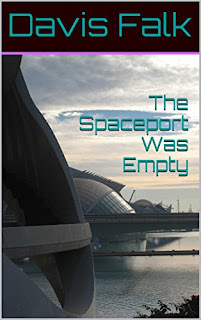 It is that hard to put down, and moves quickly with short chapters and snappy dialogue. 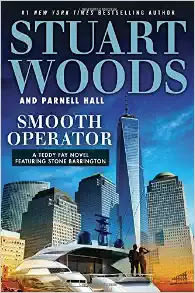 Stuart Woods is massively successful (at least thirty-nine consecutive best-sellers), massively prolific (five novels released this year), and gets help on Smooth Operator from veteran mystery writer Parnell Hall, whose out-of-print novels are now finding new life as eBooks. Woods is the author of several series of novels, with characters crossing over between the series. In Smooth Operator, Teddy Fay, a character well-known to Woods readers, is given center stage for the first time, perhaps the start of a new series for Woods. Fay is a former CIA insider, a man of many disguises, and the capacity for the cold-blooded dispatch of bad guys who get in his way. He has assumed a new identity with a clean slate, though hardly a low-profile one, as a Hollywood movie producer. 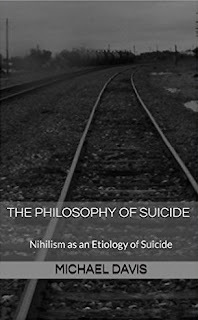 Called into service by Barrington, to whom he owes a favor, Fay finds himself entangled in a conspiracy wrapped in a terror plot and involving kidnapping and assassinations. He gets help from some great new characters. Millie is a young assistant working in the White House, whose skills, savvy, and persuasive guile make her almost as useful as Fay himself. Kevin is a hacker dragged out of his basement by Millie’s irresistible charms to hack into Washington’s most important computers and the cell phones of all the key players. In addition to Stone Barrington, familiar characters from other Woods novels also make appearances. With Stuart Woods, you expect a fast-paced thriller with high-profile intrigue that you really do not want to stop and think about. Smooth Operator does not disappoint, and provides just enough conspiratorial puzzlement to keep you guessing until the end.